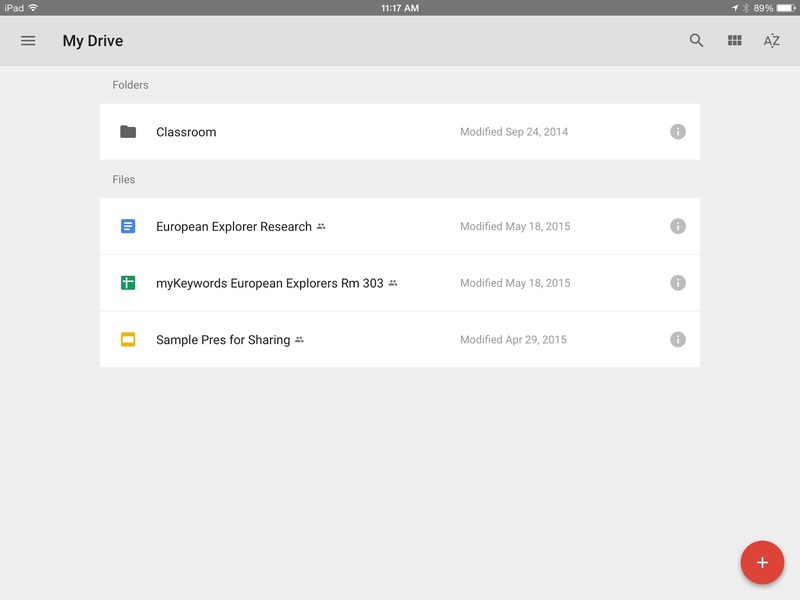 If you checked your updates for your iPad or iPhone, you might have noticed an update for Google Drive was released today. The new Material Design has rearranged some of the features. Read on for screenshots and a break down. The most important part of this update is the Material Design change, which brings some major usability changes. 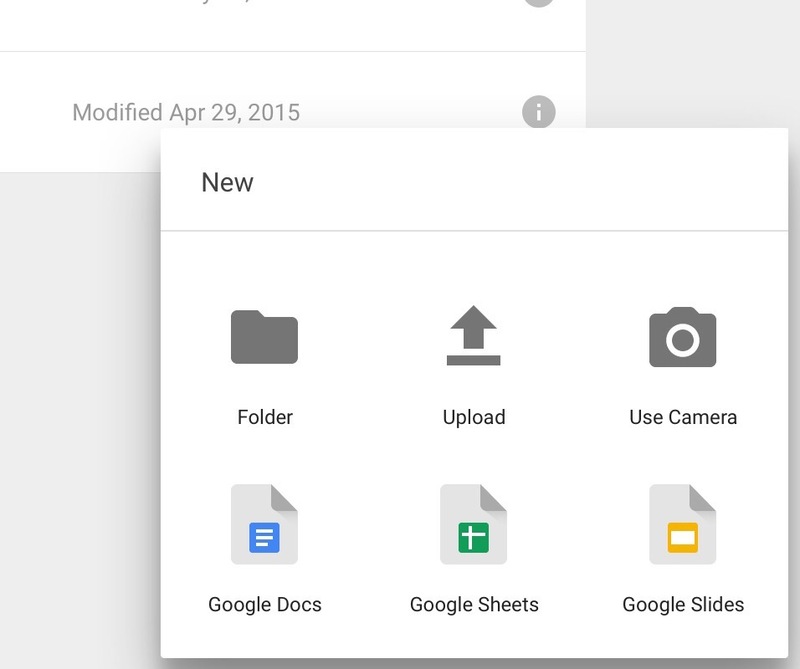 The other Google apps (Docs, Sheets, and Slides) were already updated with Material Design, so Google Drive completes the set. Notice the red circle with the white "+" in the bottom right corner. Tapping the red circle allows you to create, upload from Camera Roll, or snap a photo or video with the camera. 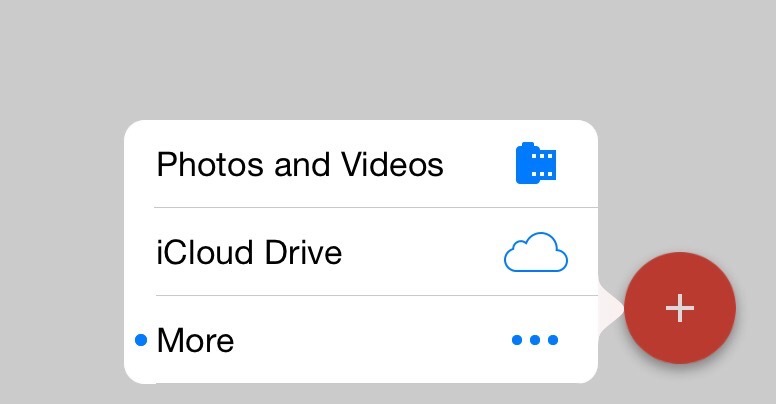 "Photos and Videos" and the iCloud Drive. 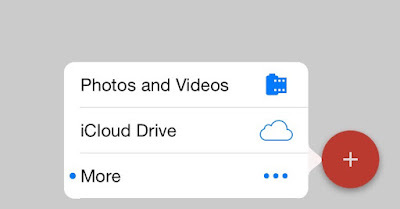 The update also promises faster syncing and image viewing, and improved scrolling performance. 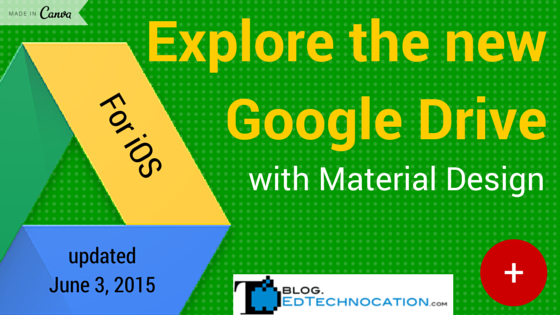 What do you think of Material Design?